Tablets and smartphones are simply the source of instant entertainment nowadays. They offer significant amount of information in our busy world. And in line with several aspects that these devices are being utilized, it is also a great platform for your children's education. The App Store is crowded with several apps that offer intuitive and entertaining experience to the young minds but SpellConnect stands out. One of the most engaging titles is the SpellConnect. The app is specifically designed for spelling starters by infusing fun with learning. Essentially, this app provides adequate game levels that help your child familiarize letters allowing them to spell the words correctly. Going through the app, you’ll discover different modes for parents to assist their kids on the process of learning – the Practice Mode, Test Mode and Parent Mode. 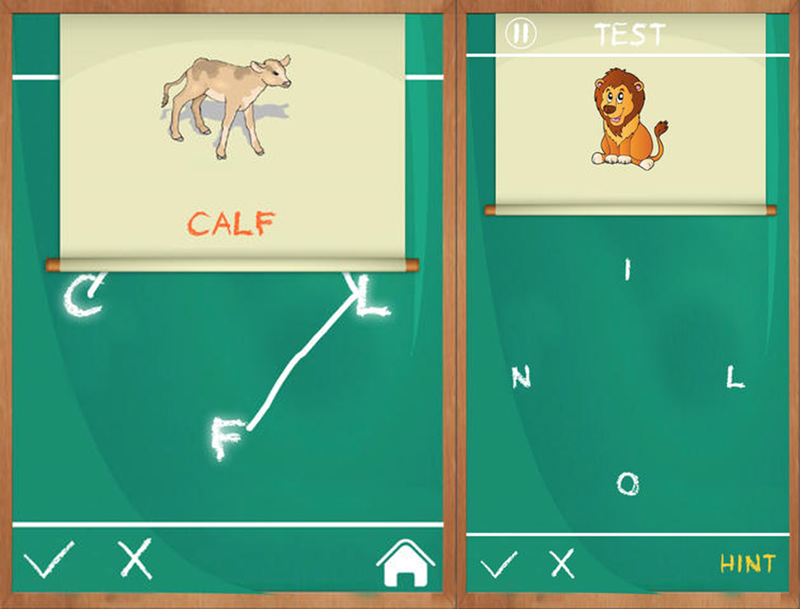 On Practice Mode, Kids tackle the alphabet and simultaneously learn words. As the title implies, it is basically connecting alphabets to make words of three letters, four letters of five letters. On the background, users could utilize the pictures and sounds to recognize the words. The Test Mode comes when activated by parents. This gives a set of up to 15 words for your child to answer. Lastly, the Parent Mode allows parents to create and activate quizzes for their children. The app really stands out due to its simplicity and minimalist design. The nice graphics and cute sounds make the experience more intuitive for the child. Plus, the basic blackboard-and-chalk setting is an interesting plot for adults and kids alike. Basic spelling literacy is developed with the aid of the app’s word play, word building and sound recognition. SpellConnect’s use of familiar plot of connecting letters to form a word emphasizes learning through playing. This is a very nifty app for toddlers and early explorers.